I have been drooling the last few weeks. Why - you might ask? It's because I've been reading Ted Reader's hamburger book - Everyday Gourmet Burgers. Chef Ted Reader is a man after my own heart. He is the only guy that I know who owns more grills than I own. He has over 100. I'm just sitting around 20 grills and smokers now and will need a bigger house if I don't get a handle on my barbecue grill fascination. I confess also to being a cookbook freak as well, and the bookshelves my brother put in the kitchen last Christmas are already full. But, that's okay. 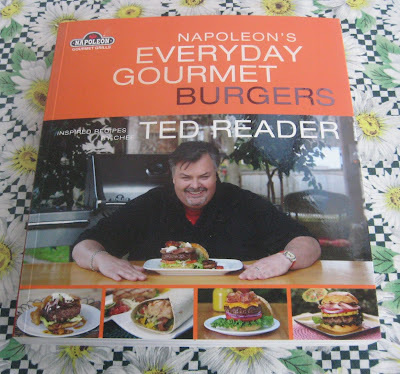 I can always make room for a great hamburger book by a master griller like Ted Reader. What's Between the Covers of Everyday Gourmet Burgers? I'd call Ted's book a guidebook more than a cookbook (but there are loads of recipes as well), and that's a good thing. He starts with the basics like types of meat and has an excellent chapter on seasonings. Even if you know a lot about making great burgers, you'll pick up some fabulous new tips and ideas. 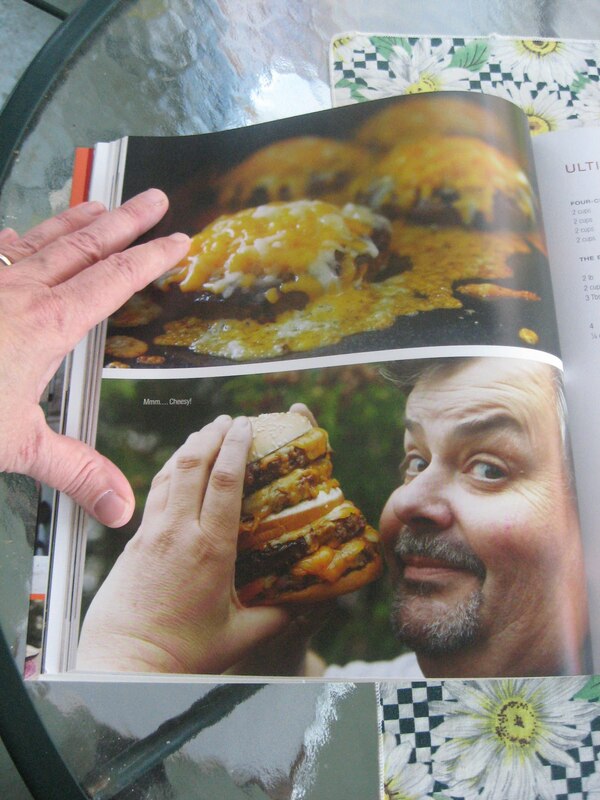 You may wonder how the heck it would be possible to have an entire cookbook dedicated to burgers. You do get the traditional beef burgers but also burgers featuring more exotic meats and even seafood. 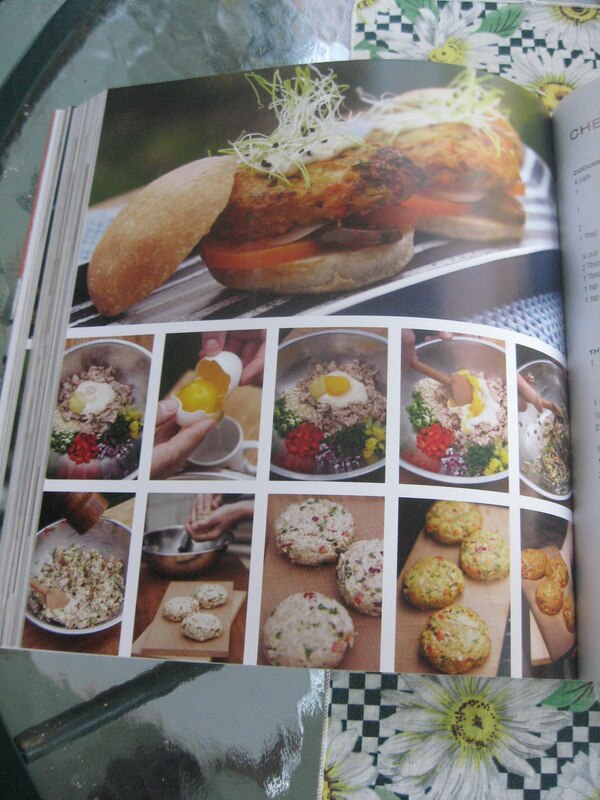 In fact, I'd have to say that my favorite recipe in the cookbook is the crab burger. You might be thinking that crab burgers are a bit gourmet and that they'd be too hard to make. But, as you can see in the photo, Ted is not the type of chef to leave you hanging. I know my way around a grill, but I also know good directions when I see them. 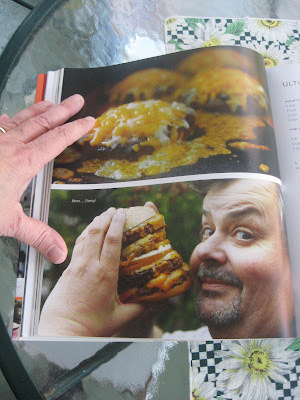 Ted does a great job in explaining how to make sure your burgers turn out right, and the photography in this book is excellent. Yes. There are Traditional Burgers as Well! Don't worry that you'll just get what my son would call "odd" burgers. That would be, in his estimation, anything that didn't start out saying "moo." He doesn't even like to talk about whole wheat buns. There's a classic grilled hamburger recipe with butter called The Better Butter Burger. And, yes, it is better. If you watched the film Julie and Julia, then you'll know about that real butter. I never thought to put butter in my grilled burgers, but that idea is spot on. Give it a try. I think you'll be sold. Ted also gives you the secrets for making the McDonald's Big Mac and the In and Out Burger. I confess that I have not had an In and Out Burger, because they do not have an In and Out here. If I see one while road tripping, I will definitely try one out. In any case, you get the low down on how to make the restaurant burgers kids go wild for (and adults too), so you will not end up serving up ghetto burgers that Eddie Murphy used to rag on. Ted has a sense of humor too. If you've heard him on the radio, seen him on TV, or met him in person, you will know this to be true. 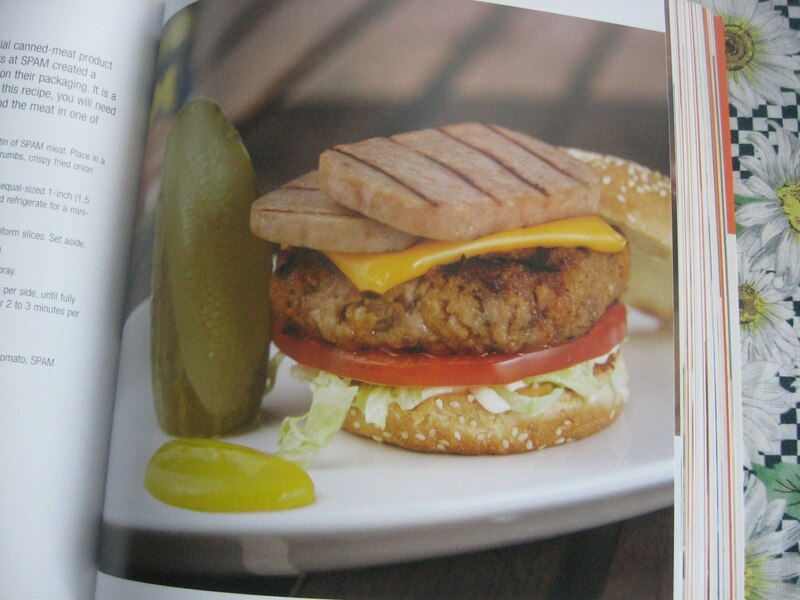 If not, then you know a chef who features a Spam burger has to have a funny bone. Spam as a Burger Condiment? Sure. Why Not? This one did make me laugh. I've not made it, but I may have to do that. Spam would not be on my list for my last meal on this earth, but I can handle it now and then especially fried crisp with yellow mustard on white bread. The Next Ted Burger on My List - Well, It's Actually My Son Who Bookmarked This. Was This What Jimmy Buffet Meant When He Sang Cheeseburger and Paradise? My son doesn't pay much attention when I'm reading cookbooks (yes - I do actually read them). He did, however, notice the cheeseburger photo. "Hey. Let's make those," he said. I explained that I'm not tall enough to be making and eating burgers that size lathered up in cheese (though I dream about such). After some thought, my son decided I could make my burger smaller and that he'd love me fatter if it came to that. Lord, bless boys. They are so practical and forgiving. So - Is This Cookbook Worth the Money? With a cookbook, the bottom line really is whether or not you get enough ideas and help to be worth the bucks. In this case, Napoleon's Everyday Gourmet Burgers by Ted Reader is rock solid with the information, and the ideas are creative and range from burgers made with veal to desserts like a cupcake burger. This would be a good purchase for anyone who loves to fire up the grill and wants to make something other than flat patty burgers and hot dogs. It would also be a super gift for anyone on your list who likes to play with fire, meat, and buns. Nice review of Teddy's cookbook. I agree, he really knows his burgers! Thanks. He's a really nice guy and has great barbecue and grilling info.